Chief of Army Staff, Lt. General Tukur Buratai has revealed those sponsoring armed ethnic militia groups in Jos, the capital of Plateau state. Buratai said the armed ethnic militia groups in Plateau State were supported and sponsored by elites or elders of the state. 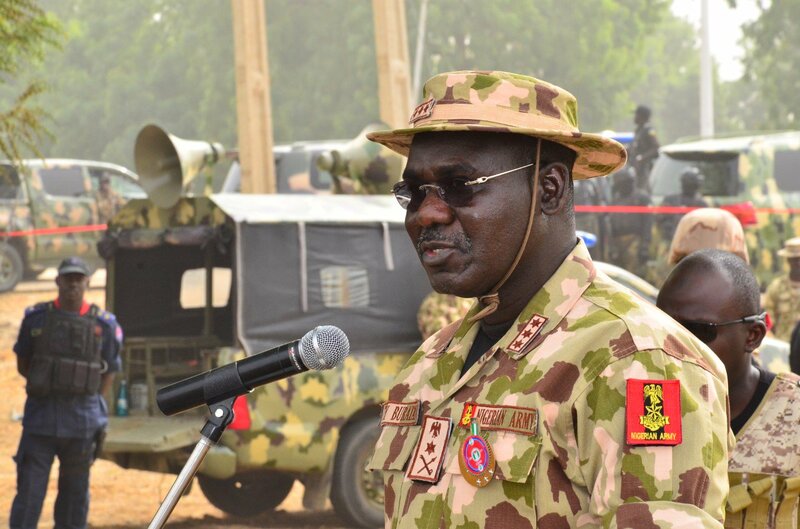 Buratai disclosed this on Wednesday during the burial of three soldiers who were killed during the violence that rocked the state’s troubled Barkin Ladi Local Government Area at the Maxwell Khobe Military Cemetery at 3 Division Headquarters, Rukuba Jos. Buratai, who was represented by the Operation Safe Haven Commander, Major-General Augustine Agundu, said, “It is evident that there exist armed ethnic militia groups sponsored or supported by some elites and elders who deploy the misguided youths into committing the worst heinous crimes. Expressing regrets over the death of CPL Effiong Mbuotidem, he said: “Human dignity has lost its value on the Plateau.